The public meeting was called to order at 3:30 pm and immediately recessed to a closed executive session so board members could discuss potential litigation pursuant to RCW 42.30.110 (1) (i). The meeting reconvened at 4:30 pm. Board President Ken Bell, Vice President Bobby Briscoe and Secretary Michael Shepard were all present. No formal action was taken during the closed executive session. Doug Karlberg spoke about the effort to clear out weblockers tenants who are no longer active commercial fishers. He said he’s been to several meetings and almost every tenant that had a complaint has been heard, and they all understood the need to make room for young guys who are just entering the fishing industry. Karlberg hopes the commission will approve the new weblocker rules and regulations. Retired fisher Les Nelson thanked the Port for leasing weblockers to him. He returned one weblocker to Squalicum Harbor but still has one in Blaine, and he told the commission it could take some time to clear it out. Lee Freeman told the commission he wants to keep his weblockers. He has 2 weblockers full of fishing gear and has nowhere else to put it. He said he goes fishing with his sons and if they lose a locker it will be devastating for them. Freeman said he’s been fishing here for 40 years and he’s had one weblocker for 35 years. A. Approve the minutes of the March 5, 2019, regular Commission meeting. B. Authorization to sell vessel, pursuant to Resolution No. 1349. C. Authorize the Executive Director to execute a multi-agency Letter of Understanding to document acceptance of the preferred Runway Safety Area improvement option for the Bellingham International Airport (BLI). D. Approve a Harbor Land Lease between the Port of Bellingham and Foss Maritime Co. for dockage and upland property located at the Bellingham Shipping Terminal. 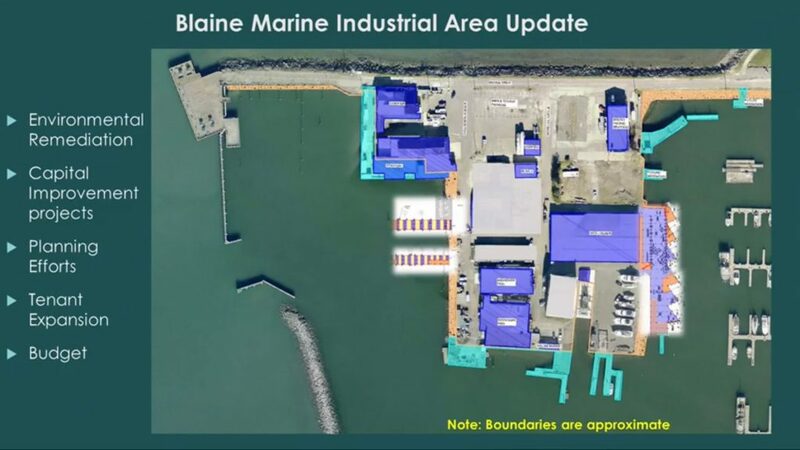 Port Real Estate Representative Brady Scott gave a presentation on the work being done to allow tenants to expand at the Blaine Marine Industrial Area. Enviromental cleanup of the Blaine Marina Inc. site was completed last fall and a bioremediation process will be monitored for the next 4 years. Scott said 100,000 pounds of petroleum were removed from the site. A Remedial Investigation and Feasibility Study for cleanup of the Westman Marine site is being prepared for public comments. The Port is selecting a consultant to address an on-going petroleum sheen at the Sea K Fish site. The new Walsh Marine Building is now fully designed and the project is out to bid, with an award expected by April 16 and construction scheduled for completion by September. A construction contract for the new Webhouse is currently out to bid with an award expected by April 16 and construction scheduled for completion by November. The Port is currently in the design and permitting phase of repairing/replacing 4 rows of bulkheads. The Port has contracted a consultant for preliminary design of a project to replace bulkheads under 2 tenant owned buildings. The Port is currently looking for a consultant for preliminary design of a project to reconfigure the sawtooth dock to better fit wider modern fishing boats. The Port is selecting a consultant to design access improvements. An update the Wharf District Master Plan Amendment & Building Site Plan is planned for this fall. The Port has spent or budgeted nearly $10 million so far on the improvements, and more funding will be needed. Commissioner Briscoe said the presentation “kinda feels like a land grab”, and cautioned staff about selling too much property to the businesses that are there or letting them get too big for the area to handle. The Commission said at its Feb. 19 meeting that Western Washington University is moving too slow with its plans to build an education facility on the waterfront. Commissioner Bell and Executive Director Rob Fix met with directors at WWU on March 6 and basically told them to fish or cut bait. Director of Environmental Programs Brian Gouran said WWU still wants to work with the Port and has agreed to write an amendment to the Memorandum of Understanding (MOU) setting a new deadline for an updated development plan. After a brief recess, Port Executive Director Rob Fix spoke by phone from Alaska where he is meeting with legislators to preserve the Alaska Marine Highway. Fix said he predicts the Alaska ferry will run at full service in the Summer but with only partial service in the winter. Betsy from Jobs With Justice – part of the Blue-Green Waterfront Coalition – told commissioners she is concerned about the Alaska governor’s plan to cut service on the Alaska Marine Highway. She said it would hurt local businesses, union jobs and Native American villages along the Alaska coast that depend on the ferry. She urged the commission to pass a resolution to send a letter to legislators expressing the Port’s support for keeping the ferry in service. Doug Karlberg spoke about the Western Crossing proposal. He believes Western Washington University hasn’t made technology a high priority. Karlberg asked the commission to consider working with the local high schools on a waterfront education facility. Bellingham-based Booda Organics Inc. manufactures handmade body moisturizer, lip balm, bar soap, deodorant and laundry soap. Proceeds from this loan will be used to expand the product line including three new lip balm flavors available for the first time in new 100% biodegradable paper tube packaging. This agreement will hire RMC Architects for the following projects: security enhancements for the Bellingham International Airport Administration Offices, the Harbor Center Building exterior rehabilitation, Bayview Center Building restroom rehabilitation, replacing domestic water lines at Bella Marina & the former Island Mariner location, roof and storefront reconfiguration at 530 W Front St in Sumas, and exterior rehabilitation at Marina Square. Language added to emphasize the weblockers are a strategic asset with a goal to provide maximum economic benefit to Whatcom County. The weblocker categories reduced from five to two, which limits weblocker assignments to ACF and Marine Commercial /Trades. Defined the maximum number of weblockers that can be assigned to one weblocker customer. 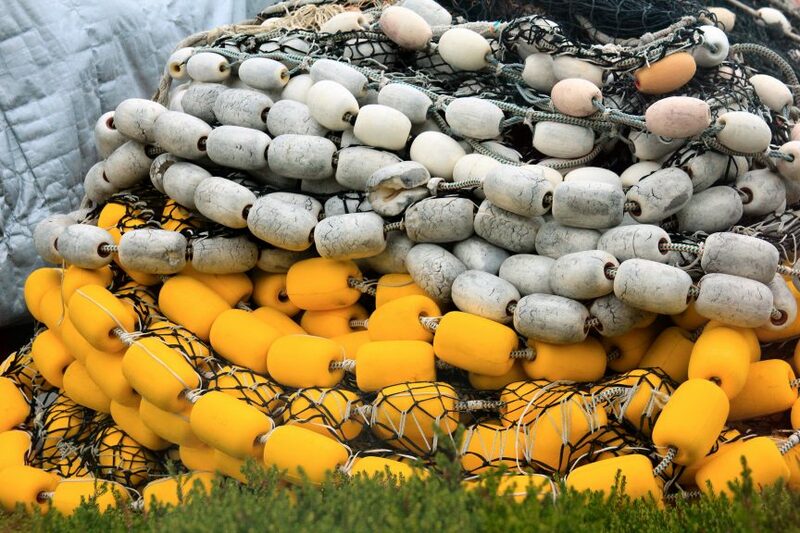 Eligibility requirements for ACF weblocker assignment includes mooring a vessel in Squalicum or Blaine Harbor, reside in Whatcom County, or certify customer will be relocating to Whatcom County within six-months. Weblocker assignments not consistent with the Rules & Regulations are subject to Commission approval. Marina Manager, Alan Birdsall, expressed that the purpose for these rule changes is to promote relocation of Active Commercial Fishers to Whatcom County. He said the new rules will allow tenants to transfer a weblocker to a family member. The 4-and-a-half-month process has included 9 public hearings. Commissioner Briscoe said there was a lot of “bar room-napkin” agreements over weblockers and he wanted to bring clarity and transparency to the rules. Port staff recommended Commission approval of two separate items related to weblocker assignment. The first is to assign 16 existing unrecognized weblocker subleases to the current weblocker users. Marina Manager, Alan Birdsall, said this is a one-time deal and any future unauthorized subleasing will not be allowed. Second is to give some existing Marine Commercial / Trades tenants the temporary authority to exceed the cap on the type and number of lockers that they can be assigned. This would affect 10 weblockers. Commissioner Bell discussed possibly changing rates to attract more companies to the Blaine Marine Industrial Area. Commissioner Briscoe talked about his frustration with the County Council’s recent moves to halt growth at Cherry Point.